College students, traveling and backpacking – these three things fit together so well, probably because almost every college student wants to travel and almost every college traveler can only afford to backpack. But what if there was another way? What if students could travel all over the world, and not only have proper accommodations and ample time in each place, but also get paid while they are there? 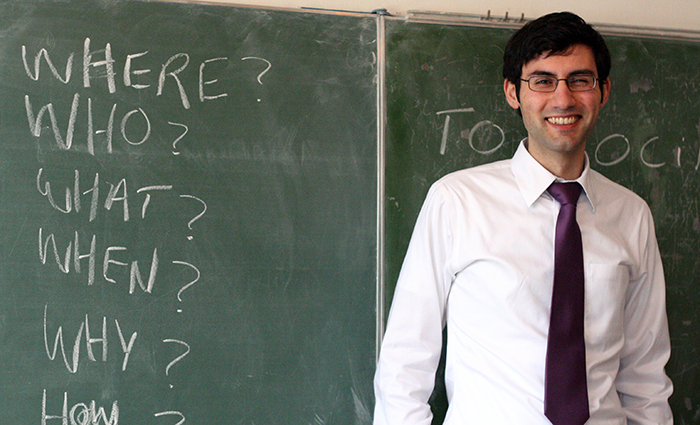 If that sounds too good to be true, then you’ve probably never considered taking an international teaching job. The fact is, many teaching abroad programs welcome student travelers who are looking to see the world, as long as the student is willing (and qualified) to teach a few local students during daytime hours. Money. Students are poor. There’s no denying that. Between paying for tuition and learning to live on your own for the first time, there’s simply not a lot of excess cash floating around. To add to that, travel is expensive. Those two facts don’t exactly make student travel an easy feat. However, if you take an international teaching job or apply for a teaching abroad program, you’ll get paid to see the world. International teachers make a decent salary, plus often you are provided with free accommodations. This will give you some extra money to really experience the country. Accommodations. Sure, staying in hostels is a good life experience for students – but sharing a room with seven other strangers can get old really fast. On the flip side, teaching abroad programs with international teaching jobs often set you up in an apartment or a hotel while you are working. You might end up with another international-teacher roommate, but it’s better than the alternative. Experience. Backpacking is a great way to see the world and experience a bit of culture. However, when you take an international teaching job through a teaching abroad program, you’ll actually be living in the country you’re stationed in. You will be fully immersed in the culture for months at a time, eating where the locals eat and going where the locals go. It’s a great way to get the whole cultural experience.